Writers On The Move: The dossier - who is this character? The dossier is a useful tool for a novelist. It can be entirely in your head, but if there are lots of characters, you may find it essential to write down the relevant details for each. That helps prevent glitches like Susie's son changing from Jim to John, or Mr Cartwright's occupation being posthole digger in chapter 5, and postman in chapter 25. How you organise this material is up to you. I often have a set of notes at the start of the novel, to be deleted upon completion (or when the character is no longer relevant). What goes into the dossier? Everything you as author know about the person. As more details emerge, you can add them. Harold Smith walked into the room. He was a man in his 50s with a potbelly and salt-and-pepper hair, an overworked accountant with immense experience but questionable morals. Jill introduced me to him, saying, "Martin, meet Harold, just the man you need for your project." This scene is clearly from Martin's point of view (POV). That is, in order to BE in the story, I as reader need to create the temporary illusion that I am Martin. The author has created a shady accountant for me to employ for some nefarious purpose, and I (Martin) am just meeting him for the first time. So, how do I know that he is "an overworked accountant with immense experience but questionable morals?" My point is: the AUTHOR needs Harold's dossier in order to write about him. The character Martin has no access to this dossier. Therefore, to stay within Martin's POV, the author must avoid this statement. Giving Harold's physical appearance is fine, because Martin can see that. Genevieve Rocker felt like wetting her pants from terror, as she looked into the black hole of the gunbarrel. As a lady of 75, with a lifetime of helping people in all walks of life, she was used to all sorts of hardships. Despite the many pains of her body, she wanted to live. Her thin body shook, her blue eyes glazed over in the expectation of instant death. If you were terrified, expecting to be shot this instant, would you be thinking about your age, your past history of helpfulness and hardships, even the many pains of your body? Of course not. You would be in that present moment, entirely focussed on the current emergency. Genevieve will feel the same way. She is completely unlikely to be concerned with her body build or eye colour, or what her eyes might look like to someone else. So, reporting a new character's dossier is a bad thing. It is an info dump, an author intrusion, and should be treated by amputation. When a new person comes into your life, you immediately find out a few things: gender, approximate age, physical appearance, perhaps name, tone of voice, your automatic emotional reaction to this new acquaintance. Say Harry goes on a blind date, and meets Salicia. She is not going to hand him her CV, or biography, or her scores on various psychological tests. He will find out about her in dribs and drabs, as the occasion arises. This is how it should happen with people in a book too. P.S. 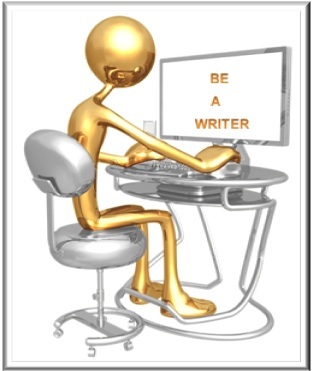 Want more tips and help with your writing and marketing? 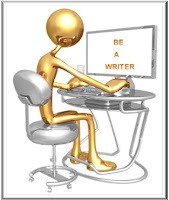 Then subscribe to The Writing World (top right sidebar). You'll get weekly information plus updates on our free instructional webinars. Agree with you Bob - and I always write my dossier down and reveal info slowly and through action and interaction. The dossier is critical. I had no problems with author intrusions in your Black Cow. Bob. I hate getting the info dump at the beginning. The character's characteristics should be revealed as the story progresses. (We write character studies for all our major characters and revise as the details reveal themselves.) Shifting POV (head-hopping) drives me crazy. And info dumps in the middle of tense scenes is also extremely annoying. Right on, my friend. Lorna, you have listed my exact top contenders for pet hates. We now need to educate my editing clients, BEFORE they send me their work! Bob, great examples of info dumping - these are ones that can be easily overlooked. "Drips and drabs" is the way to go. Thanks for sharing and remember you can share with us any time you like! Thanks Bob. You've given some excellent examples of info-dumping and head-hopping. I become so frustrated when the action in the story I'm reading slows down as I plough through (or skim over) much irrelevant information, or facts the POV character can't possibly know.